I’m convinced that the year 2012 was the year of the tablets. I don’t remember seeing so many tablets to choose from two years ago. My very first tablet was the Samsung Galaxy 10.1 that was about 2 years ago, at that time I could walk into Best Buy and have a handful of tablets to choose from, today you go into any Electronic store and you have a handful to choose from but that’s from company. Each company I would say has about 4 or 5 tablets to themselves and Amazon is one of them. This year Amazon has put out a handful of tablets, now which one to pick is the problem, below I’ve put some facts about each one. I’m hope this helps you guys pick the kindle you want. The 7-inch tablet has a stunning HD display, the fastest Wi-Fi, exclusive HD audio with two stereo speakers and Dolby Digital Plus, 16 or 32 GB of storage. The Fire HD has a 1280×800 HD display with anti-glare technology for rich color and deep contrast from any viewing angle. Exclusive Dolby audio and dual-driver stereo speakers for immersive, virtual surround sound. World’s first tablet with dual-band, dual-antenna Wi-Fi for 40% faster downloads and streaming (compared to iPad 3). High performance 1.2 Ghz dual-core processor with Imagination PowerVR 3D graphics core for fast and fluid performance. 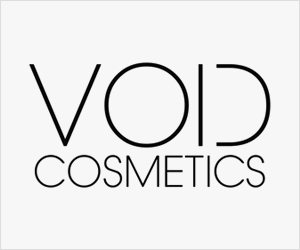 Over 22 million movies, TV shows, songs, magazines, books, audiobooks, and popular apps and games such as Facebook, Netflix, Twitter, HBO GO, Pandora, and Angry Birds Space. Integrated support for Facebook, Twitter, Gmail, Hotmail, Yahoo! and more, as well as Exchange calendar, contacts, and email. Front-facing HD camera for taking photos or making video calls using Skype, Facebook, and other apps. Free unlimited cloud storage for all your Amazon content. Kindle FreeTime – a free, personalized tablet experience just for kids on the Kindle Fire HD. Set daily screen limits, and give access to appropriate content for each child. Rich, immersive, video. Beautiful, vivid photos. Crisp, detailed text. Enjoy your favorite content on a large, beautiful 1920×1200 display, capable of playing movies and TV shows in up to 1080p high definition. At 254 ppi, the display on Kindle Fire HD 8.9″ is high enough quality that individual pixels are indistinguishable to the human eye. The result, an unparalleled viewing experience, no matter what you want to watch. For an HD device, 8GB of storage is not enough. High definition content is substantially larger – for example, on average, an SD movie is 500MB, and an HD movie is 2GB. 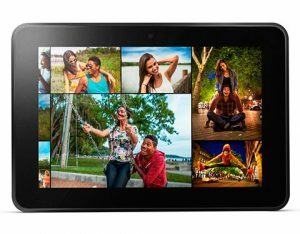 Because of this, Kindle Fire HD 8.9″ offers multiple storage options starting with 16GB, as well as free, unlimited cloud storage for your Amazon content. Enjoy your favorite content on a large, beautiful 1920×1200 display, capable of playing movies and TV shows in up to 1080p high definition. At 254 ppi, the display on Kindle Fire HD 8.9″ is high enough quality that individual pixels are indistinguishable to the human eye. The result, an unparalleled viewing experience, no matter what you want to watch. Most tablet displays are made up of two pieces of glass – an LCD on the bottom and a touch sensor on the top, separated by an air gap. With an air gap, light reflects off of every surface as it passes through from the front, creating multiple distracting reflections that reduce display contrast. Kindle Fire HD solves this air gap problem by laminating the touch sensor and the LCD together into a single layer of glass, creating a display that’s easy to view, even in overhead light. Kindle Fire HD 8.9″ features the latest 4G LTE technology for ultra-fast mobile broadband, letting you connect to the internet, stream, and download at speeds even faster than Wi-Fi. Unlike some 4G devices, Kindle Fire HD includes support for 10 bands, so even when you’re in a place with no 4G LTE network you’ll fall back to the fastest available network and won’t lose coverage. All this with no compromises to battery or weight – Kindle Fire HD combines the most power-efficient LTE chipset available with a custom-designed 4G wireless modem that’s only 2.2 mm thin. We know there are things you would rather be doing than studying, so we built X-Ray for Textbooks to help you learn more and save time. 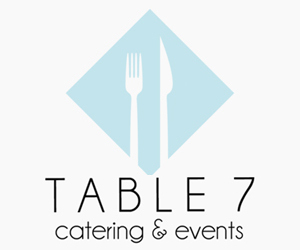 Want more information about a topic? With a single tap, you’ll get instant access to the glossary definition, find all the relevant pages in the textbook, and get related content from Wikipedia and YouTube. 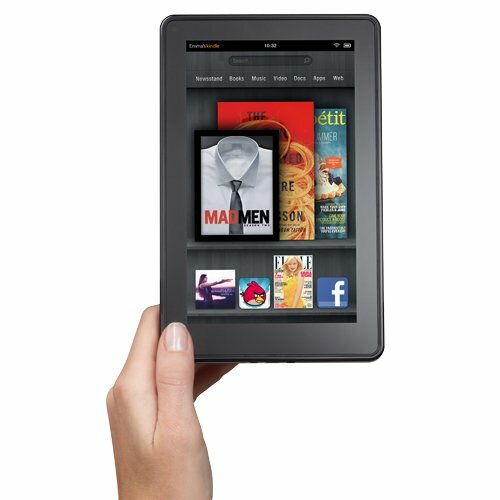 The Kindle fire is the smallest of the group, Move seamlessly across apps and open titles quickly at a touch. 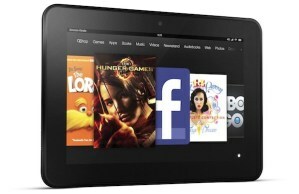 With a new 1.2GHz processor and 1GB of RAM, Kindle Fire is 40% faster and more fluid than before. Kindle Fire has been re-tuned to optimize power consumption. The result: a longer battery life, with up to 9 hours of reading, surfing the web on Wi-Fi, watching video, or listening to music. 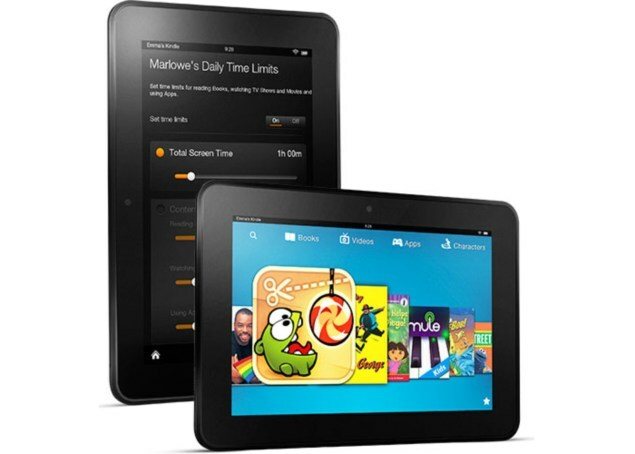 Kindle Fire comes with 8GB on-device storage, so you can download favorite titles to view offline, anytime. You’ll also get free, unlimited cloud storage for all your Amazon content, so you can rest easy, knowing that you’ll never lose the content you love. Kindle Fire’s new UI makes it easier than ever to find and enjoy your favorite titles. Spin through recent content straight from your home screen. Pin favorites and access at a touch. 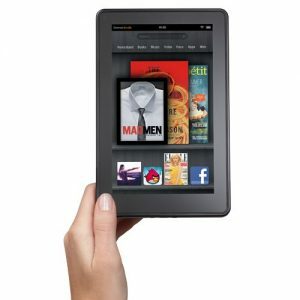 Whether you’re in the mood to watch, read, listen, or play, Kindle Fire gets you started quickly and easily.